WASTE CHALLENGE: Scandinavian countries are known for their high standards for waste diversion and recycling. 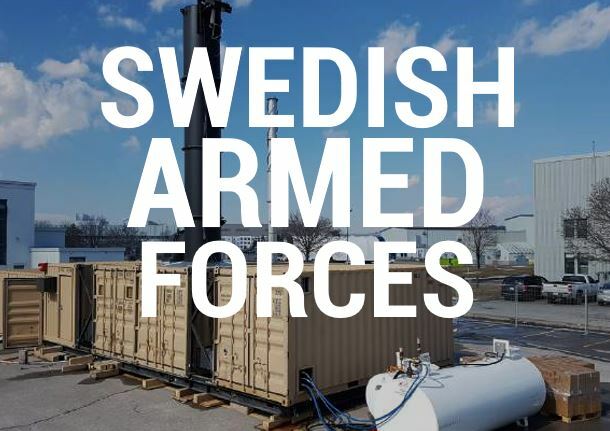 One Scandinavian defense organization decided they wanted to replicate their strict waste management practises when they went on missions abroad. To accomplish this, they required a completely integrated mobile waste management system that they could easily deploy. The system would need to include the equipment required to source separate waste for recycling, receive and process organics, and thermal convert all residual waste and meet the EU Industrial Emissions Directive. Missions could take them anywhere, so the system would need to work in temperatures between -46C to +49C with relative humidity that fluctuates between 3-100%. To be suitable for the military basecamp setting it would also need to adhere to strict Electromagnetic Compatibility Emission and Susceptibility requirements. LOCATION: Used on training exercises and in expeditionary military bases that can be any climactic region including extreme cold and extreme heat environments. SPECIAL FEATURES: Compact energy-from-waste recovery; waste heat is captured to generate hot water for use in showers, laundry or other uses. The modular system is configured to be highly flexible, allowing for different logistical footprints depending on the location. The DWHS can easily adapt by reducing some functions to better fit the mission. For example, in serving more austere environments, with no infrastructure and minimal resources, the DWHS can be transported and/or operated with or without the APC and CEMS, recycling station and composter. This flexibility is a unique and highly desirable feature for the military customer. RESULTS: The DWHS is a self-contained system to support units of up to 500 people, recycling 100s of kg of material, and reducing 2000kg of residual waste every day. Producing up to 150,000 litres of hot water every 24 hours means that military personnel have access to long hot showers which are normally limited to conserve use fossil fuels. 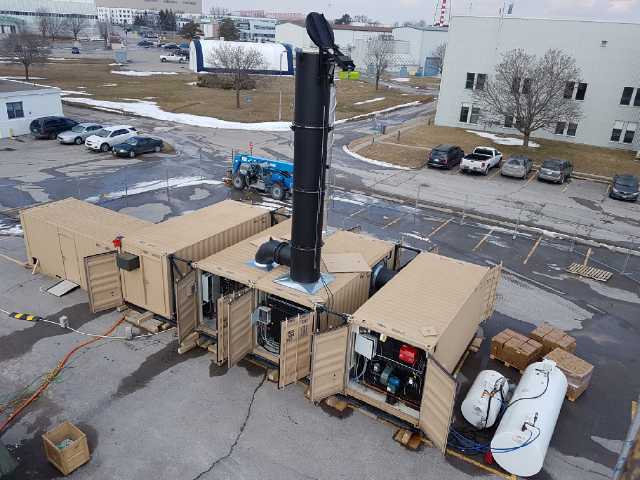 Its ability to operate in conditions ranging from arctic to desert, as well as tropical and very windy environments makes it perfect for military installations that are often in remote or extreme environments.